Today is Wednesday, so it's time for yet another "In The Spotlight". As I am a big fan of "The Big Bang Theory", I think it is about time I write an article about this immensely popular show. But wait it's Wednesday; I cannot write a "Series Tip", it has to be an "In The Spotlight". So who will I choose? That's tricky...I like all the lead characters, so I cannot choose my favorite. Oh well...I will just take a picture, close my eyes and point. And the winner is: (drums please) Mayim Bialik! Mayim plays the role of the neurobiologist Dr. Amy Farrah Fowler in "The Big Bang Theory", but you might also know her from the 90's teen show "Blossom" (she played the lead role/title character). So who is Mayim Bialik? Mayim Chaya Bialik was born in San Diego on December 12th in 1975. Her parents are Barry and Beverly Bialik and three of her four grandparents were born in Europe (Czech Republic, Poland and Hungary) and one of her ancestors is Israel's national poet Hayim Nahman Bialik. Her career started in the late 80's and her first real acting job was the role of Kid Wallace in the horror movie "Pumpkinhead"(1988). This was followed by a number of TV roles (for example "MacGyver” and "Beaches") and a role in the video clip for Michael Jackson's "Liberian Girl". In 1990 Mayim was cast for two TV shows: Fox's "Molloy" and NBC's "Blossom". "Molloy" stopped after 6 episodes and got replaced by "Blossom". I remember I used to watch "Blossom" when it was on TV. Mayim played the role of Blossom Russo an Italian/American teenager. The show focusses on the family's struggle to adjust after Blossom's mother leaves the family to pursue her own career. Blossom is left with her father Nick (a musician) and two Brothers Tony and Joey (played by Joey Lawrence). Tony is a recovering alcoholic and drug addict and Joey is the standard dumb jock. Her best friend is Six (Jenna von Oy), an especially fast talker. It was fun to watch and I remember it was a quite popular show and Blossom became a role model for a lot of teenage girls. She always used to wear a floppy hat and it became somewhat of a fashion item. What I remember best is the leader of the show, which was fun. "Blossom" ran for five seasons and stopped in 1995. In 1994 Mayim played a role in the Woody Allen movie "Don't drink the water". When "Blossom" stopped Mayim chose to enroll at UCLA, but she had also been accepted at Harvard and Yale. She chose for UCLA, because she didn't want to move to the East Coast and wanted to stay close to her parents. She got her degree in Neuroscience and minored in Hebrew and Jewish studies. Mayim went on to study for a doctorate in Neuroscience and while studying she did a lot of voice acting jobs. Eventually she earned her Ph. D. for neurosciences in 2007. She keeps on acting and eventually Mayim joins the cast of "The Big Bang Theory" in the season finale of season 3. Mayim plays the role of Amy Farrah Fowler, a neurobiologist. When Raj and Howard secretly sign up Sheldon for a dating site, Amy turns out to be a perfect match. At first Sheldon refers to Amy as "a friend that is a girl, but not a girlfriend", but they grow closer and eventually Sheldon and Amy sign the contract (literally) and become boyfriend and girlfriend. I loved Mayim as Amy Farrah Fowler as soon as she made her first appearance in the show. She is like Sheldon in a lot of ways, but because of her overprotective mom she is kind of like a teenager. She has a lot of bottled up sexual energy and because of her friendship with Penny, she finally feels like she is one of the "cool girls" (this gets her in a lot of awkward situations). As of episode 8 of season 4 Mayim becomes a part of the main cast and has been ever since. Fun Fact: In episode 13 of season 1 Raj suggests to recruit the real-life Bialik to their Physics Bowl team, saying "You know who's apparently very smart is the girl who played TV's Blossom. She got a Ph.D. in Neuroscience or something." September 19th TBBT returns for season 10 and I for one can't wait! I love this show and I love this actress! I didn't knew she is related to Hayim Nahman Bialik, That is so cool. I didn't see her in all the other TV shows and the movie you mentioned so she's quite new to me. Thanks for the detailed background. It's always fun to learn something new. Oh I love BBT. It's my #1 favorite American sitcom (side by side with 2 Broke Girls). I can't believe BBT is already on Season 10! It blew me off when I learned of the fact the Amy is actually a real life nueroscientist. Can't believe it! I was an avid viewer or Blossom. I loved Mayim in that show and her hat! She plays Amy the only way it can be played. I love that Mayim is also an educated woman proving that you can be a scholar and a Hollywood star at the same time. 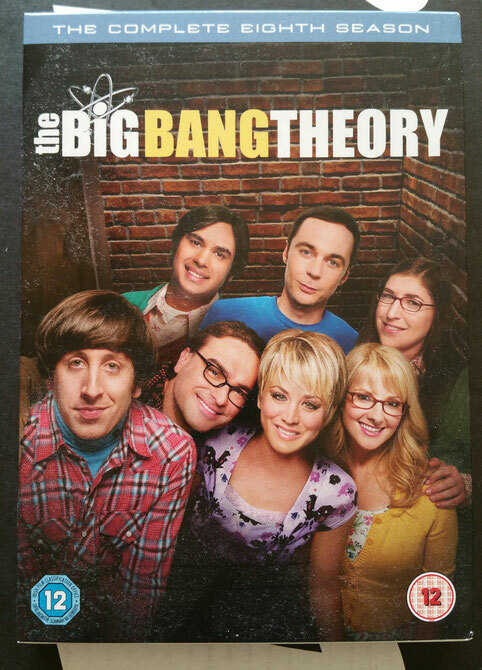 Not really a fan of series, but I've heard a great deal about Big Bang Theory. I haven't heard of Mayim before. But she seemed like an actress who has a lot in store. Lovely character tho, with overprotective parents. Very millennial. I love Mayim! I loved Blossom growing up, and she is to blame for my obsession with vests and hats, haha! She is perfect in BBT, and I aside from show biz, I fully support her advocacy on breastfeeding and attachment parenting. Amazing woman. I love the show along with all its characters! I am a great fan and admirer of Mayim.